Toolroom Records returns with another outstanding set of royalty free samples for you to enjoy! And to celebrate this release, we have launched a producer competition exclusively on Beatport, with a set of money can’t buy prizes! Toolroom Samples 04 brings you all the best music, bass and drum loops you need to be creative and produce an accomplished track of your own. Whether you’re just starting out in your musical career or you’re already an established producer; Toolroom Samples 04 has something for you. This exclusive pack features samples written by some of the biggest producers in dance music including label boss Mark Knight and fellow DJ and producer Marco Lys, ensuring your productions are of the highest sound quality. Toolroom Records Samples 04 brings you the best processed drum loops, bass lines, synths and music loops from every genre of House, ranging from Deep and Tribal to Progressive and Tech, providing you with the essential elements to create any style of House music you desire. With over 300MB of masterfully produced samples, the release offers packages at 125 and 128 BPM which are rendered at 24-bit in WAV formation and grouped into key and scale making it easy to use for a wide range of producers and DJs. 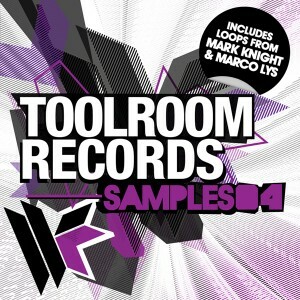 Toolroom Records Samples 04; introduce a hint of Toolroom into your next dance hit!